Description: After Shorts @ The Canal – 1&2, Shorts @ The Union and The Twilight Hour season 1&2, Shorts @ The Canal is inviting all writers to submit a play no longer than 15-minute, for their next show: “Love Shots”. The show will have a love theme and will be performed at the award-winning Canal Cafe Theatre, a renowned comedy and theatre venue in London on 15th & 16th February. What’s so great about it? Want your work produced by a company with a brilliant track record for producing successful short play evenings? If yes, check this opportunity out! 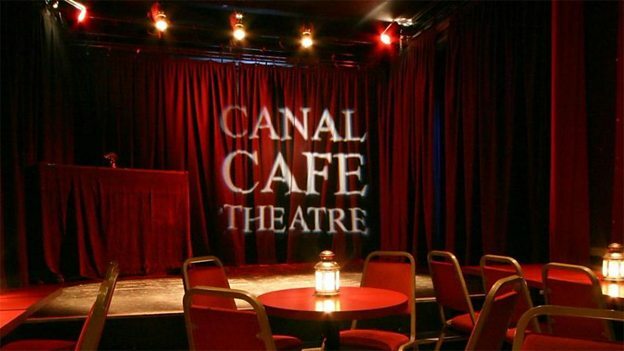 Previous events run by the same company have been really successful and the evening takes place award-winning venue, the Canal Cafe Theatre. This event has a ‘love’ theme so if you can write a short play with love at its’ heart (see what we did there?!) then you should shoot your submission in! You’ve got until 14 December, go, go, go! The link above “here” merely leads back to this page, without giving any guidelines for submission or, more importantly, where we can send our submissions. Sorry about this, the link has now been updated.